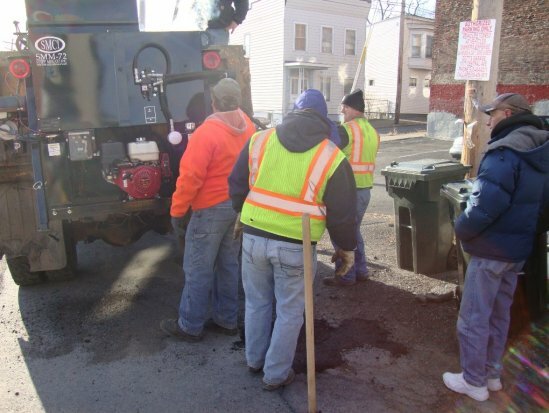 24 hours a day/ 7 days a week / 365 days a year- Make asphalt when YOU need it at any outside temperature! 300-350°F in 8-15 minutes, depending on the moisture content of your millings. Simple hook up- Tilt your box, back up to the tailgate hooks, lower box, lift legs, and secure. No additional equipment needed! Adjustable tailgate hooks to fit most any dump body. Makes a batch in 8-15 minutes. Easily add Asphalt Rejuvenator Product (ARP), which comes in one pound packages and contains 95% straight asphalt, no secret snake oil here, just good old fashioned asphalt. Pre-heat bin to give the next batch a kick start. 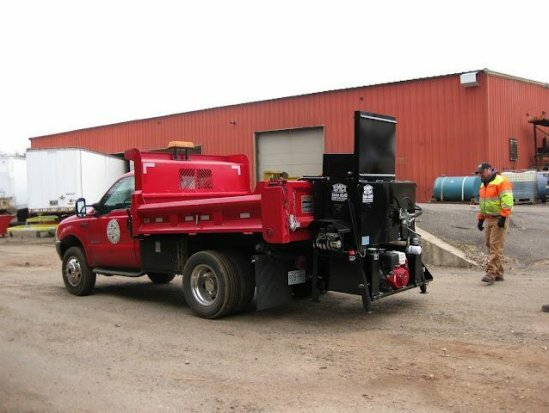 Removable shoveling pan to allow material to be dispensed right onto the roadway. 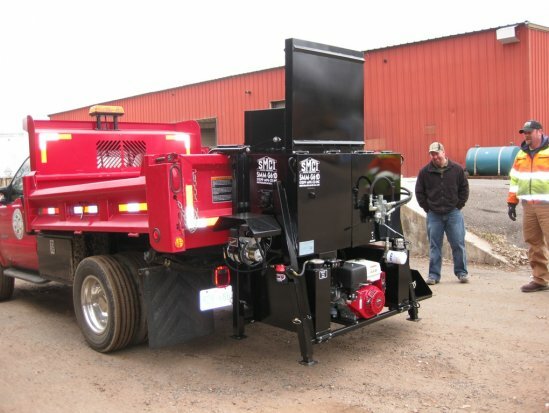 Stepp’s SMM Tailgate Mounted Master Mixer is a great solution for instant pothole repairs. The SMM will produce 250 lbs. of hot mix at 300-350°F in minutes. 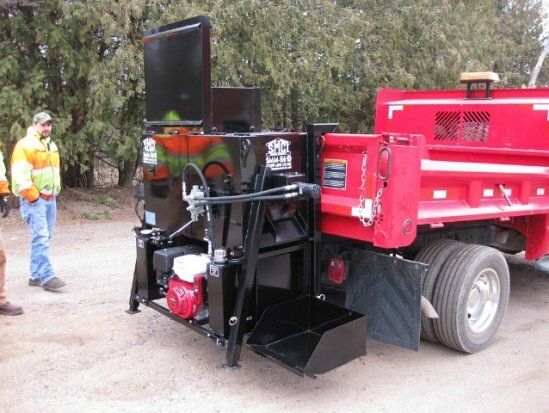 Simply add millings or chunk asphalt into the hopper, and in less than just 10 minutes you are able to permanently repair your pothole! The Stepp Master Mixer is the perfect machine for small municipal and paving contractor’s pothole patching jobs, and mall maintenance. 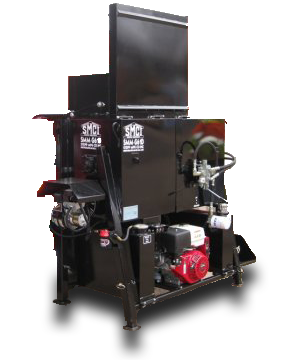 The SMM asphalt recycler can make 250 lb. batches in minutes to provide hot mix asphalt 24-7 / 365 days a year, at any temperature. With the SMM your repair is a one time repair- no more cold patch! The SMM is a fully self-contained unit. 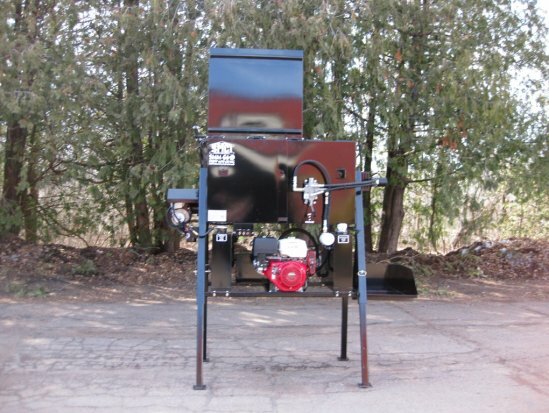 It is powered by a Honda gasoline engine that drives the hydraulic system, along with a Beckett diesel burner. SMM Master Mix — 2:18 min. Pothole Patcher — 3:19 min.